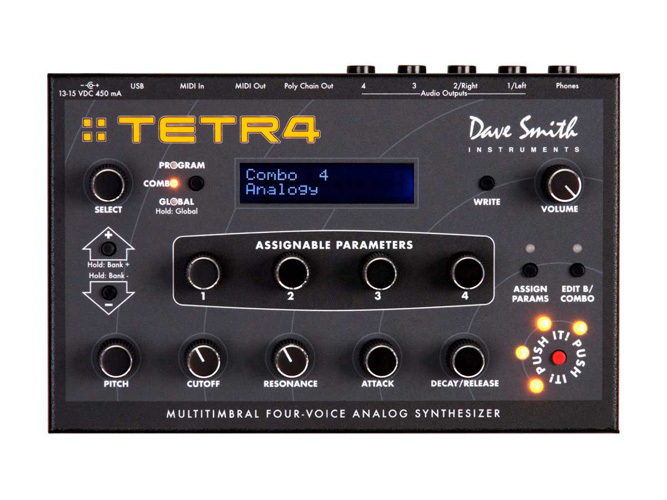 Dave Smith Instruments jokes that the Tetra is a sort of “mini Prophet.” Years ago, most people would say the idea of a device at this price coming close to recreating the Prophet’s unique polyphonic sound would be out of the question. The Mopho teased the idea of recreating the analog leads and bass lines of old school, thick, Sequential Circuits-era songcraft. With a monophonic Mopho, you could get sounds that aimed for “I Can’t Go For That” or ABBA’s “Head Over Heels” — stuff that gets the synth juices flowing, but after that what could you do? 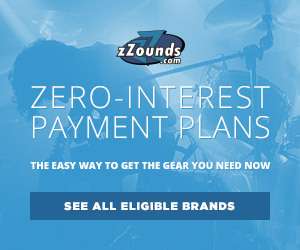 Could you musically get out of their intros using one Mopho? When you hear those polyphonic pads slinking in, pads that could only be created with the much wider timbre of the 8-voice Prophet, that’s when you realize how ingenious the Tetra is. It does something the Mopho, and most any other tabletop analog synths, couldn’t. 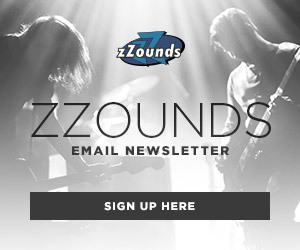 By multiplying the amount of Mophos, in a box that is more or less the same in size, it is able to give you that multi-timbral, chordal sound that a highly coveted Prophet 8 or 5 is truly known for. Little things like providing more recognizable visual cues to what you’re adjusting, everything from a “Push It” button showing available voices or tempo, and dedicated knobs for Filter adjustment — separate from the freely assignable knobs —or having the ability to layer different oscillators make it this brilliant, and cost-affordable in-between synthesizer that truly harkens back to Dave Smiths’ roots. Separate voicing allows you to run four different melodic sequences at once from the same little device. USB technology (the first ever for any DSI synth!) for example, even allows you to easily manipulate the whole sound even further with an available program editor (there’s even one for iPad users). If you already own a MIDI controller and want to know what a Prophet is all about, this is its beyond-fantastic gateway. Now this, this is how you reimagine a controller. 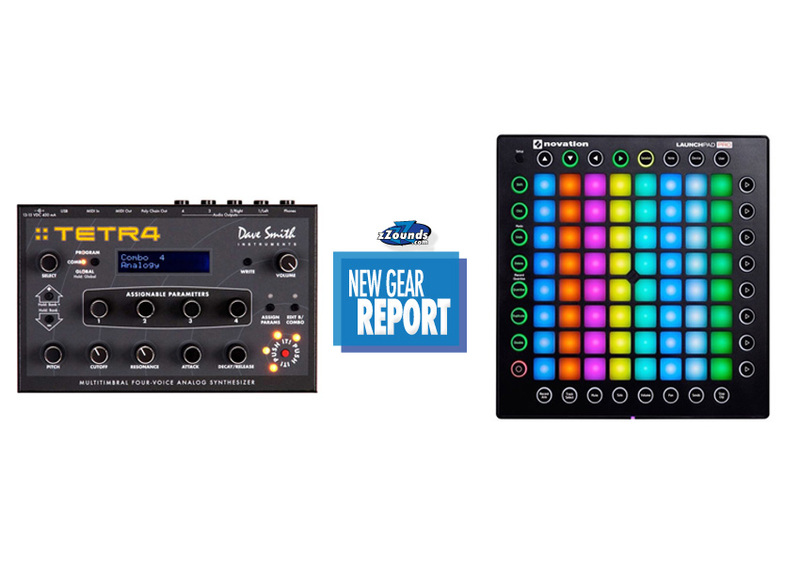 The potential from Novation’s Launchpad S was there. Hook it up via USB and you suddenly had an 8×8 lighted grid of pads you can use to launch Ableton Live clips, or to control certain transport functions like stop, play, record. Working exclusively via USB, it was able to work with any other MIDI-compliant software as its own performance sketch pad. However, the more you used it, the more you became aware of things that could make it better. These are the things Novation worked on. In the Launchpad Pro, for the first time, you get velocity and pressure-sensitive pads allowing you to add even more expressive playing aspects. These pads work in conjunction with new control modes, which skew even more closely Ableton’s different control functions. An example would let you trigger loops in one view, while easily switching to another grid to enter new melodies, or to add/remove from a drum pattern. 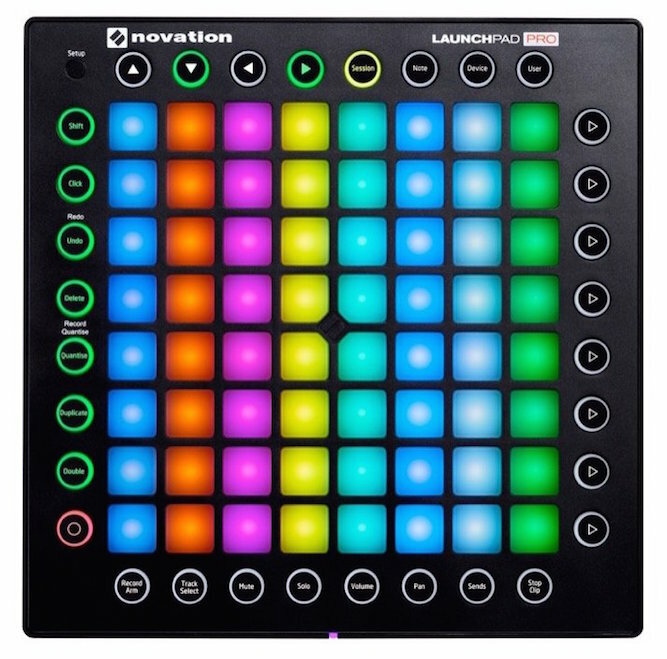 The Launchpad Pro now introduces RGB back-lit LED lights that let you visually see much more clearly which clips are being launched, or what sequence is being modified. LED feedback (that can cycle through countless color combinations) can match the color scheme of your Live view making it easier to take your eyes completely off the screen and just engage with the music. A simple mixer button allows you to easily switch from performance to mixing, without interrupting the flow of your view. Finally, something that separates it from the likes of Ableton’s Push, Livid, and Monome, is its built-in hardware MIDI connection that lets you control other devices living outside the computer-sphere. Imagine entering a pattern on the Volca Beats, then switching a channel to enter a melody on a MiniNova — all without a laptop to do so. Cool, right? Novation has even gone so far as to open source its firmware, allowing you to do much of what you can imagine doing with the device. At this price, with such features, I can’t recommend this controller highly enough.